This is a great bread that you can enjoy while following the Maximized Nutrition Plans. Coconut flour is gluten free, jam packed with fiber (58%!) and low in carbohydrates. Coconut oil, coconut flour, and coconut products in general are fantastic for anyone who is looking to lose weight and improve their health. Rich in lauric acid, coconut oil contains NO trans fat, strengthens your immune system and boosts your metabolism! Coconut oil/flour helps keep you feeling full so that you eat less and is an anti-fungal to boot! Keep in mind that while this recipe is super quick and easy to make (no soaking required as there is no grain! ), it is not anything like regular old wheat bread. You’ll find this loaf to bake up very short at about 1 1/2 to 2 inches tall. It will also be very dense. Not ideal for sandwiches, but so good slathered with honey (butter, almond butter, pureed berries) along side a cup of tea. 1.) Preheat oven to 350 degrees F. Sift coconut flour with sea salt into medium bowl. In small bowl, beat eggs together slightly then add to flour. Stir in oil/butter and optional honey. Pour into a small oiled loaf pan. Bake for 40 minutes. 2.) Turn the loaf out and cool completely on a rack before serving. That’s it! Now THAT’s tasty! It’s so good still warm with a cup of coffee, too. I baked them for 25 minutes in silicone mini-loaf pans and they turned out perfect. On a couple, I grated some organic cinnamon and that tasted alright, too. Next time, I will try orange or lemon zest for a more ‘tropical’ flavour now that summer is coming to a close. Wonderful recipe! Super-easy! It’s the best turn-out I’ve had using coconut flour. Thanks! I was wondering if all coconut flour is the same. Is there a brand of coconut flour you recommend? Do I have to sift the flour? (because I do not own a sifter). You definitely do have to sift coconut flour. I can’t stress it enough, which is why I usually say “sift twice” in my recipes. If you don’t have a sifter, you can do what I do..use a mesh strainer over a bowl. Simply tap the side of the stainer with the flour in it. All the fine powder will sift thru and the clumps will say in the sifter. try to break up the clumps, otherwise just toss them. These bits left behind are why it’s imperative to sift — they’re hard, a result of moisture getting into the flour. Also, a sifted flour will always result in a loaf/cake that cooks evenly. (This goes for Almond flour, any nut flour, any flour..yeah.) Hope this helps! Do you think this would make a good base for like a shortcake with berries? If so do you know a way to make a alternative whip topping? My family is in our 3rd week of Advanced plan I am 20 pounds down!! My hubby has a sweet tooth so looking for treats that will work for him, but stay on plan. PS so glad I found your site! Hi Jaxs and welcome! Sounds like you recently found me and are getting plugged in! This bread would definitely be great with berries and whipped cream. Instead of the processed whipped topping, buy organic or raw heavy whipping cream and whip up your own fresh at home. Add a little liquid stevia to sweeten, or sometimes I’ll whip it up then fold in purred strawberries as the sweetener. Also in my Season’s Eatings holiday e-book, you’ll find a great recipe for whipped coconut milk frosting which is also great with berries. There are ..now i lose count, but maybe 20 dessert recipes and 4 frosting recipes, most Advanced plan. You might like to check that one out. Also, I’ve been making up some realllllly great Advanced Plan cake recipes lately (pretty proud of them) that you can find in my other e-books, like the Easter and Mother’s Day ones. Keep up the great work! Your family is blessed to have you! I only have regular loaf pans so I doubled the recipe (a dozen eggs is a lot to crack!) and it turned out the same- didn’t pay attention the first time and I had a very flat loaf of bread. :) great with eggs over easy on top! Can you substitute almond flour in for the coconut? Not for this recipe, exactly. Rough estimate, I’d say cut the eggs in half and double the amount of flour to 1 cup and you can get a pretty good loaf using almond flour. 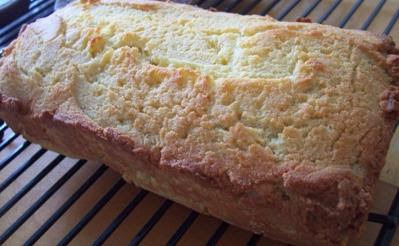 Yes, you can use one regular loaf pan, size 9×5 inches or 8×4 inches. Or you can use 2 mini loaf pans. Or you can make it into drop biscuits, which you may like better for your strawberry shortcakes. When your recipes call for stevia, is it always the spoonable stevia/steveta? I am trying to suceed with this plan but am failing when it comes to the recipes. I haven’t tried any of yours yet but it looks very promising. :) I am doing great with losing weight , so much that I wont eat any sugar. :) But have been searching for recipes that are amazing and sugar free. My kids are telling me those do not exist. I disagree. I just have to get there. :) Thank you for taking the time to help me. Hi Susie, Hope these recipes have been working out well for you! When baking, I most often do use the Spoonable Stevita stevia. You can sub in the pure liquid if you want, just use much much less.